At Sugar & Ice, we pride ourselves on providing ingredients for everyone, this means that if you only decorate cakes once a year for that special occasion we have smaller quantities (and will give you expert advice on storage of any left overs), or if you’re a cake decorator yourself you can purchase large quantities of buttercream, icing and even readymade cake bases. 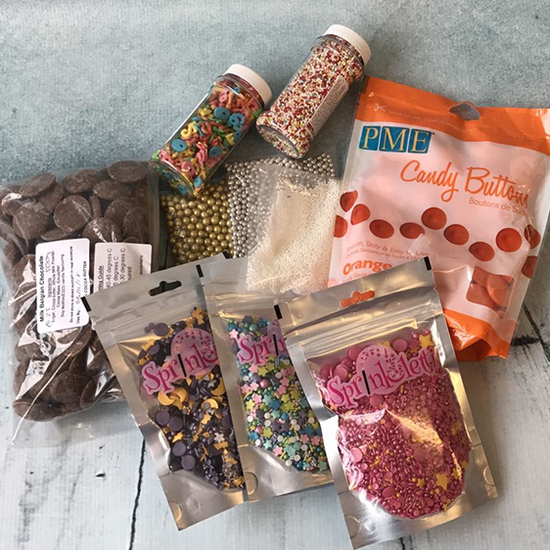 Alongside all of this we also sell a range of different coloured candy melts, tempering chocolates, edible sprinkles, cake lace and much, much more. 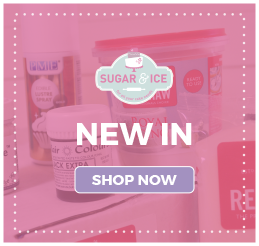 Whether you have a one off special cake to make or are a seasoned baker, Sugar & Ice have all the icing and marzipan you could dream of. 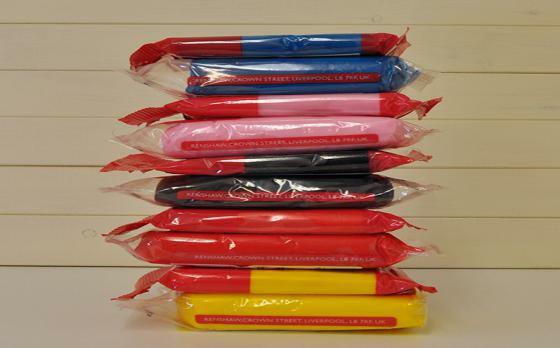 With pack sizes ranging from 250g to 5kg and a full range of marzipan and white, ivory and pre-mixed coloured icing, the choice is yours and if you prefer to colour your own icing and marzipan you can check out our full range of colours (see below). 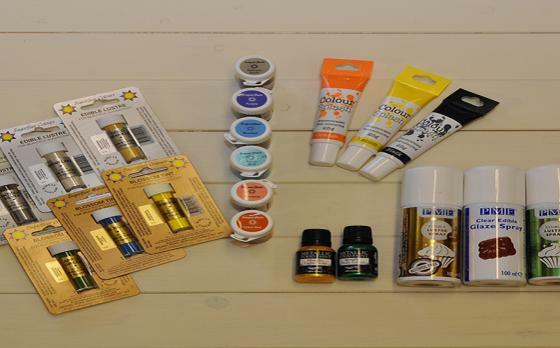 Alongside fondant icing, Sugar & Ice also stock a range of flower and modelling pastes and icing strengtheners which are perfect to create works of art from sugar, if you'd like to learn how to make wonderful sugar models or flowers check out our cake decorating courses. 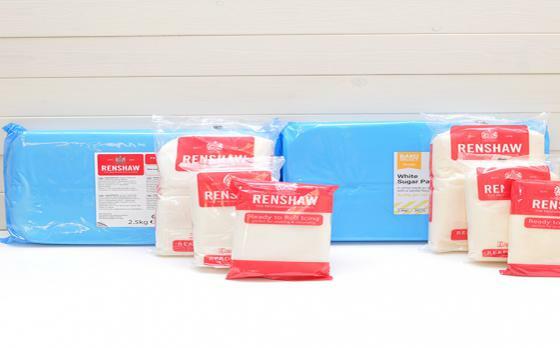 Inside both Sugar & Ice shops we also sell pre-made royal icing, or Merriwhite powder if you like to make your own (see our post on royal icing), readymade buttercream which is available in to purchase in 500g or in an 8kg tub and is completely white, which makes it wonderful for getting the perfect colour for your cupcakes. 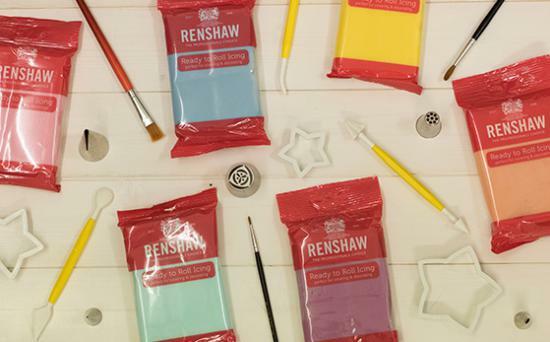 Within each of our stores you will find a huge variety of colours and flavours to create the perfect cakes, our wonderful team will be able to provide you with any advice required on their usage, our colour ranges include colour pastes, dusts, sprays, paints and more! We also stock airbrushing colours so why not come along to our latest airbrushing demonstration to learn how to make the most of your airbrush, just click here. 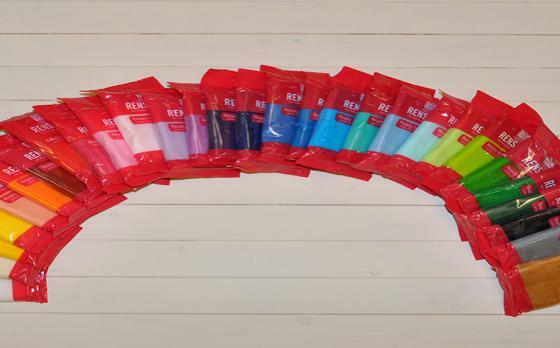 Sugar & Ice now stock all natural food colours too, which are perfect for children's parties, brilliant colour with no E-Numbers! For the keen and experimental bakers we also stock a full range of flavourings, including prosecco and bubble gum flavours to name a few. What's more these flavours can be used within a range of goodies, including your cakes, buttercream, cake pops, and drinks! 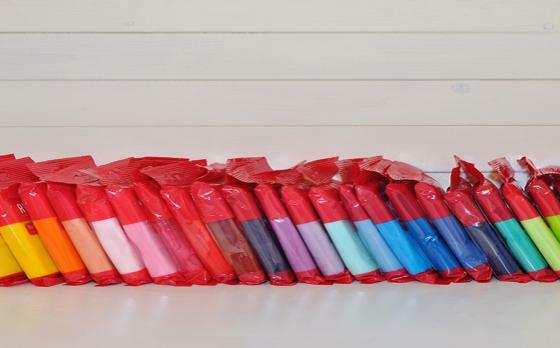 In store you'll find a range of coloured candy melts which are perfect for cake pops and much more, alongside this we stock a milk, white and dark tempering chocolates and hundreds of different edible cake toppers! 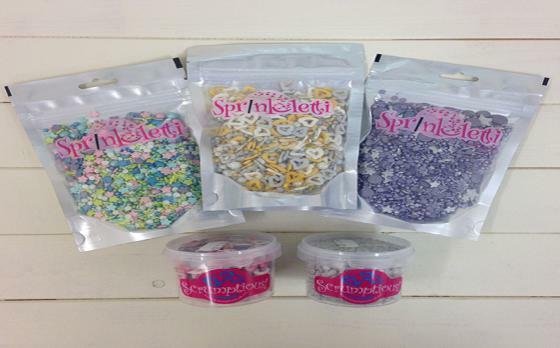 We stock a variety of edible sprinkles and glitters, our latest love is Sprinkletti, perfect for cupcakes and unicorn cakes (read our how to: unicorn cakes). Or if you prefer plaques, we offer a wide range of pre-printed plaques or can photocopy up to an A4 size image onto icing for you to pop on your own cakes. And if this all wasn't enough both stores have a full range of edible cake toppers and decorations, if you can't find the decoration you are looking for please do ask our team members or get in touch as we will be happy to make any decoration you require or order it in from our full range of quality suppliers.